When the iOS App Store was first launched in 2008, not even Apple themselves could have predicted the store’s meteoric rise to become the undisputed heavy-weight champion of the app distribution world. At the beginning of 2011 Apple launched a competition, offering a $10,000 iTunes gift card to the lucky App Store user who downloaded the 10 billionth app from the store. The Cupertino company has since repeated that offering by giving away a gift card of the same value to whoever downloaded the twenty-fifth billionth app. That competition has been and gone, with the lucky winner being announced as Fu Chunli, a Chinese citizen from the city of Qingdao in the Shandong Province of Eastern China. The contest was open to App Store users from all over the world, but Chunli managed to beat all of the competition by downloading a free copy of the popular Where’s My Water? app. What makes the story even more compelling is that when downloading the app; she actually had no idea about Apple’s competition and was still at the stage of getting used to using the App Store’s interface. As a competition winner, Apple have presented Fu Chunli with an iTunes gift card worth a whopping $10,000, allowing her to download apps, music, movies and TV programs from across Apple’s range of offered content. 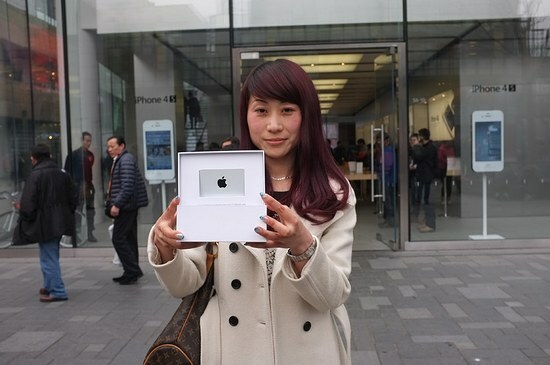 To celebrate the victory, Apple invited her to attend a special event at the Beijing Apple Store to collect her prize, view the company’s in-store products and pose for the obligatory press pictures. 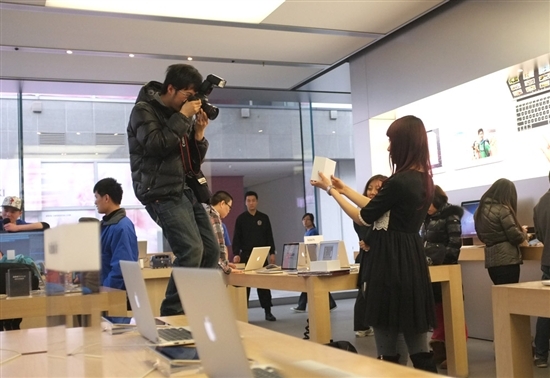 Apple could have simply posted the gift card to her or credited the amount to her Apple ID but in typical Apple fashion they chose to offer the winner a warm reception and gain some positive exposure in the process which will no doubt put them in good light in one of the world’s emerging markets. 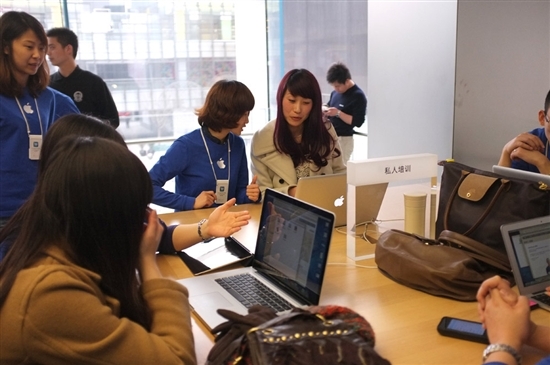 The local media in Qingdao now refer to Fu Chunli as the ‘Apple Girl’, but the story could have been so different considering that she actually believed the original call from Apple was nothing more than a hoax. Even the congratulatory calls from friends and family members wasn’t enough to convince her the competition was genuine, and it wasn’t until she received an email from Apple Inc. then the news eventually began to sink in. The iPhone was responsible for downloading the 25 billionth app is Chunli’s first Apple product, but we are pretty sure it won’t be her last.